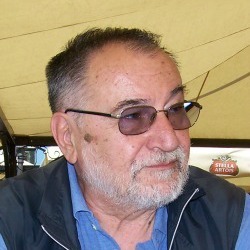 Renzo Razzano is the President of SPES and Vicepresident of CEV – European Volunteer Centre, founder and President of the local voluntary organisation Ospedale Domiciliare di Roma e Lazio dedicated to social support of the elderly, home care of oncological and Alzheimer patients and community initiatives. He has been Vice President of CEV – European Volunteer Centre since 2007 and Board Member of EAV – European Alliance for Volunteering. Board Member of CSVnet – Italian Federation of Volunteer Support Centres, a promoter of European level networking and policy development. Furthermore, he is coordinator of the Working Group on Volunteering of the Italian Alliance for the European Year of Citizens 2013. Before, he was the founding Vice President of “Auser – Italian national federation for the promotion of active third age” and the first President of Auser Lazio. Previously, he worked as social researcher and trade union leader. Research project led by SPES in collaboration with volunteer support centres and research institutes gathered available data on the third sector, its definitions and values, legal framework and in-depth studies on volunteering support centres and on mechanisms for the support and promotion of volunteering. Country reports (2004-2011) published in English and in Italian provide an overview of the volunteering landscape, infrastructure and trends in 27 European Union countries. Launched during the 2011 European Year of Volunteering, the European Volunteer Measurement Project is a collaboration between SPES, the European Volunteer Centre (CEV) and the authors of the ILO Manual on the Measurement of Volunteer Work – Johns Hopkins University Center for Civil Society Studies led by Prof. Lester Salamon. The project organised information and training events for third sector organisations and for statistical institutes. Policy measures for improving the measurement of volunteering were promoted on European Union level and first European implementations supported. Role: Member of the core coordinating team. Collaboration between ISTAT – the Italian National Institute of Statistics, CSVnet – the Italian National Coordination of Volunteer Support Centres and FVP – Fondazione Volontariato e Partecipazione, an Italian third sector research foundation, for the first implementation in 2013 of the ILO Manual Volunteering Module in the ISTAT social survey “Aspects of everyday life”. Role: Member of the Coordinating Committee. Co-funded by the EU – Directorate General Employment Social Affairs and Equal Opportunities within the ENEA Preparatory Action for active ageing and senior mobility. Coordinated by SPES in partnership with CEV, national volunteer centres of Slovenia (Slovenska Filantropija), Slovakia (CARDO), Hungary (Önkentes Kozpont Alapitvany – ÖKA) and Romania (Pro Vobis), the Italian national federations for senior volunteering (AUSER, ANTEAS and ADA) and the Municipality of Rome, the project organised exchanges of 100 senior volunteers from 5 countries and produced the “Practical and Policy Recommendations for the Promotion of Senior Volunteering through International Exchanges”.